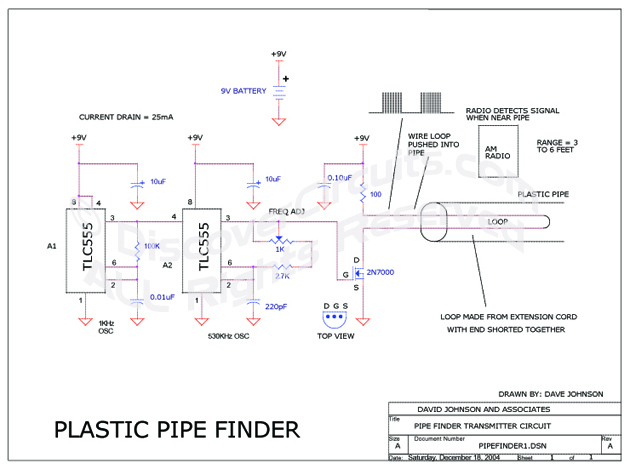 Circuit: Plastic Pipe Finder__ Circuit designed by David A. Johnson, P.E. I used this circuit once to track down the location of a plastic pipe, buried underground. It transmits a weak RF signal, which can be picked up by a portable AM radio from about 6 feet away.